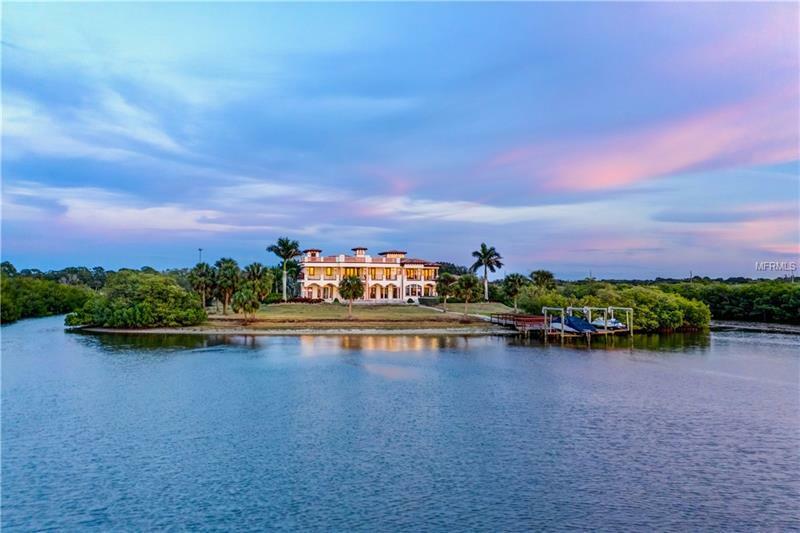 The luxury real estate horizon looks bright for a few counties in Florida despite a slowing sales forecast for the state overall. Interest from prospective home buyers from America’s Northeast is aimed at both Collier and Sarasota, two of the nation’s fastest-growing luxury housing price markets. These areas, along with interest in Jacksonville and a new projects across the state, are bright spots in a sagging Florida luxury market. Luxury properties in the news in Sarasota have helped peak interest in the area. 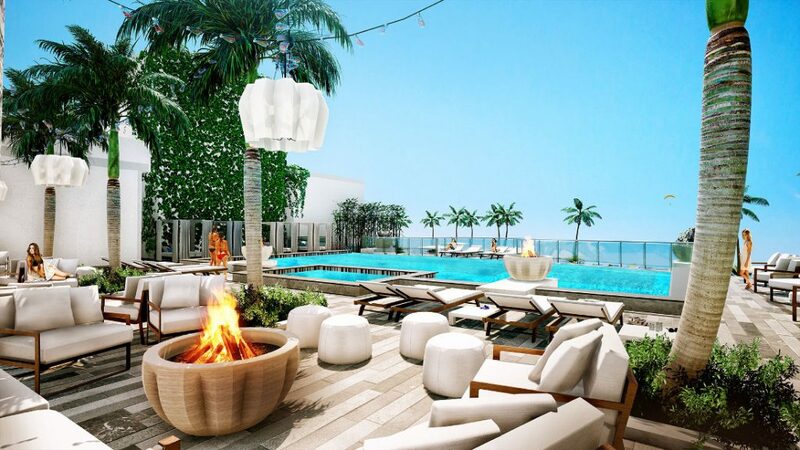 An instance that comes to mind was the recent announcement that the one of America’s most talked about restaurants, the Beach Bistro opening at the luxurious BLVD Sarasota (feature image) beginning of 2020 put an exclamation point on one of the city’s most exciting new developments. Remaining BLVD residences range from 3,550 to 5,500 square feet and are listed starting at $1.9 million. 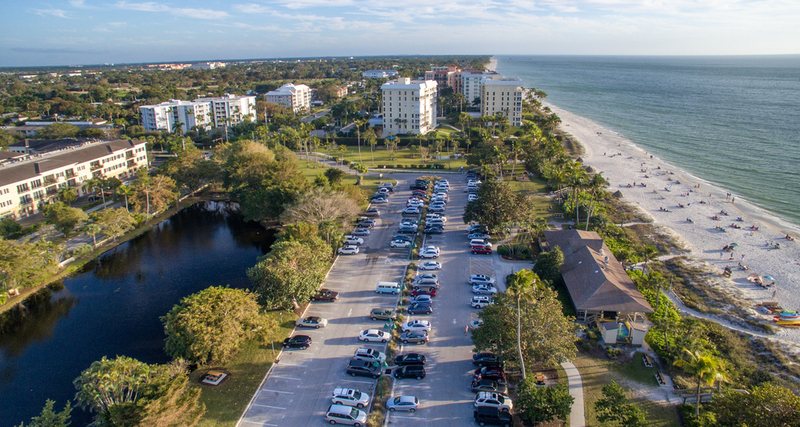 Aerial view of Naples Beach, Florida. The boost to Collier County sales prices was helped by big home sales in Naples where one sale came in at a record $48.8 million. Naples’ 34102 ZIP code ranked is the 15th richest in America according to a recent report by Bloomberg. The recent sale of a Port Royal beachfront mansion of 9,394 square feet that originally listed for $60.9 million dollars, obviously did nothing to lower the areas ranking. Amazing new luxury developments dot the state and draw attention from high net worth investors, even as the market trends toward oversupply. One that comes to mind is the Waterfall Condominiums going up at Jax Beach. This eight-floor complex of 42 residences will have two fantastic penthouses on the top level, and range in size from 2,721 to 3,077 square feet. 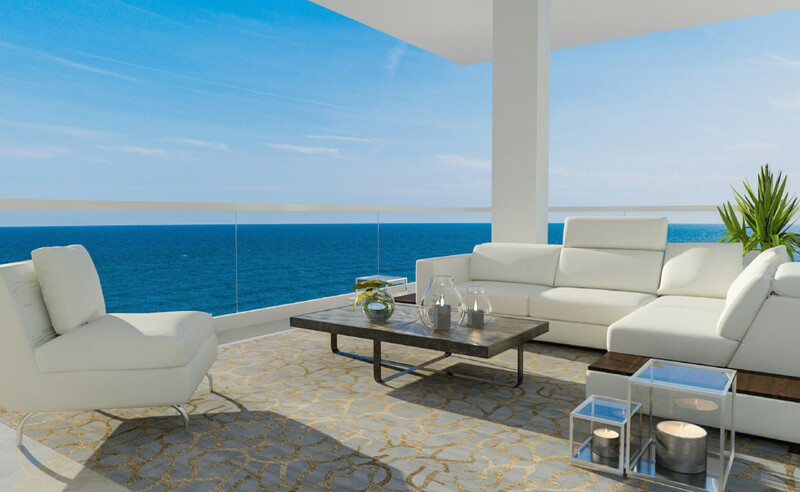 Expansive terraces will offer unmatched beach views listed by the Hanley Home Team at about $1.3 million on average. An interesting aspect for these luxury residences is the fact new height restrictions have now limited beachside properties to no more than three stories tall. But, the beach property on which the condos will be built, at 14th Avenue South and 1st Street South, was grandfathered in, allowing for a high-rise residential structure. This brings up another important variable for all Florida luxury properties. Once the growth in new development sinks (and this is inevitable), the exclusivity of these properties will rise accordingly. Short story, prices will probably skyrocket. Finally, “one of” luxury properties all across the Sunshine State help prop up high-end property prices. An example here is the so-called “Victory House” (above) that sits on 200 fabulous bayfront acres overlooking St. Petersburg and downtown Tampa Bay. This amazing property has its own private beach and has hurricane-proof doors and windows throughout. The six-bedroom, six-bath house is on a 13-acre parcel that includes about seven acres of uplands and the canals, a place where the owner will never have neighbors. Listed at $18 million, the mansion named for Nasr “Vic” Abuoleim is but one example of hundreds of similarly “exclusive” properties in the state. A wonderful friend of my father’s who was a land developer, he had this saying that has never failed me. “Always buy land, they don’t make any more of it,” he’d say. In the case of Florida property, the more expansive the market gets, the more “land” becomes a luxury. My bet is on prices rising in the mid-term to long.